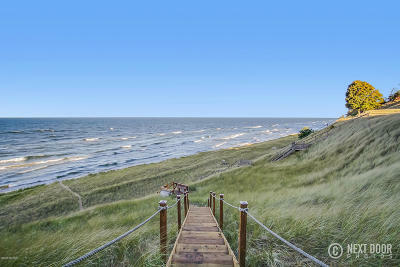 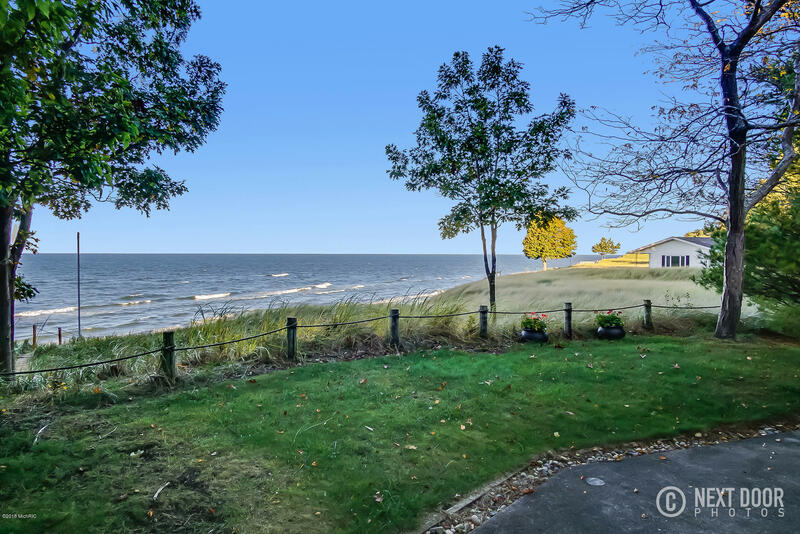 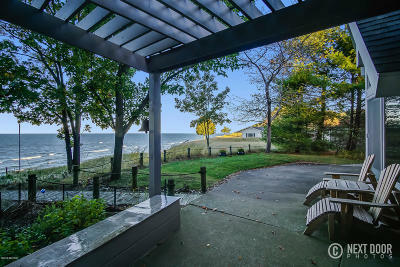 Waterfront property in West Michigan does not get better than this! 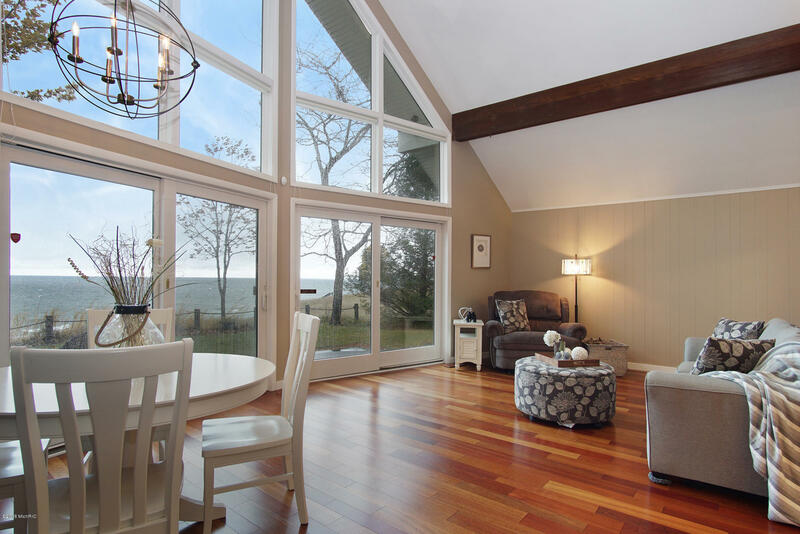 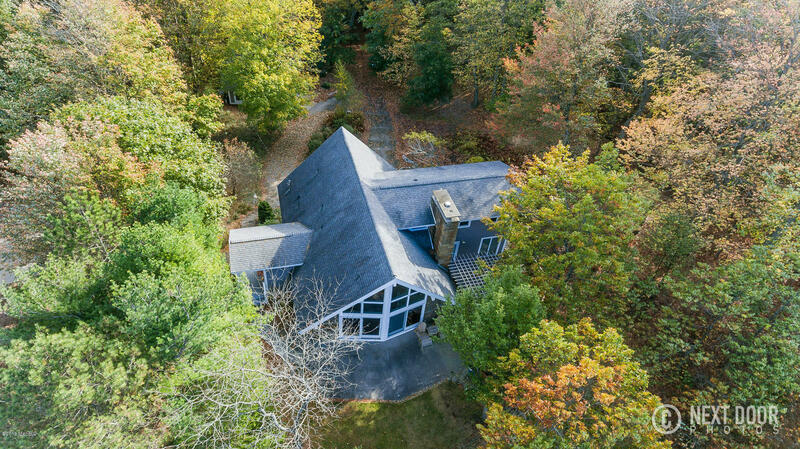 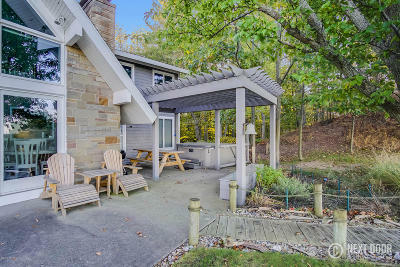 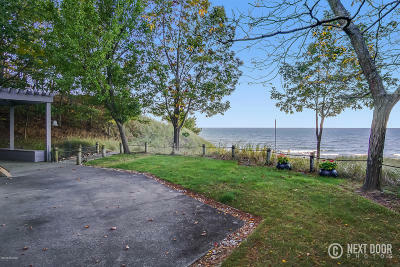 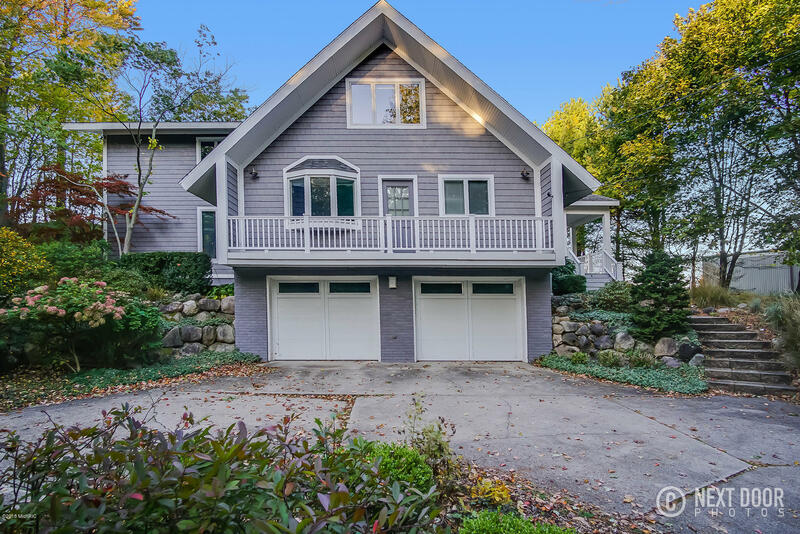 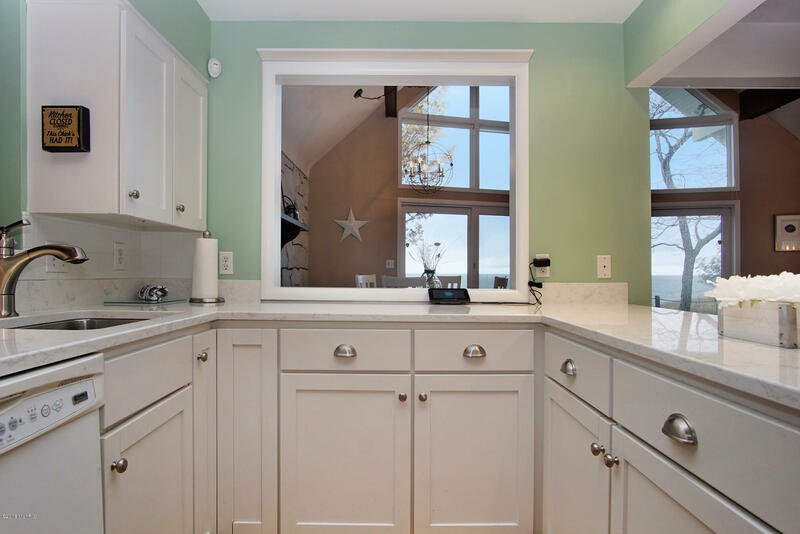 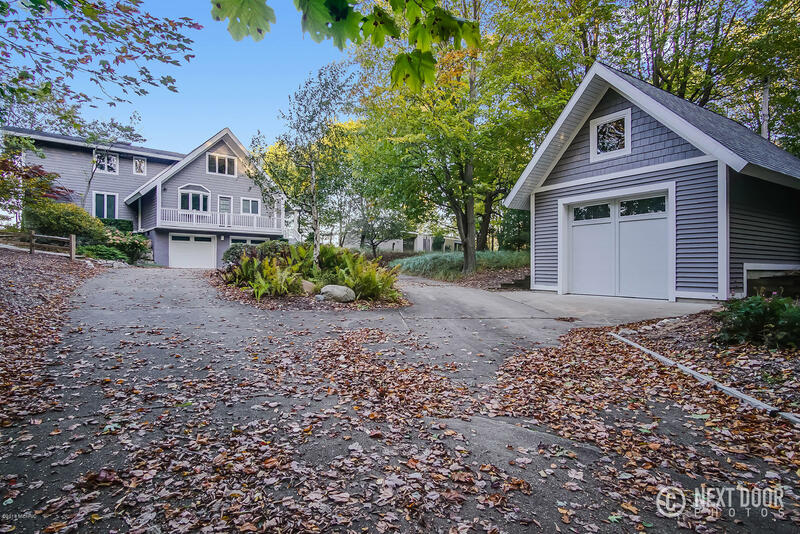 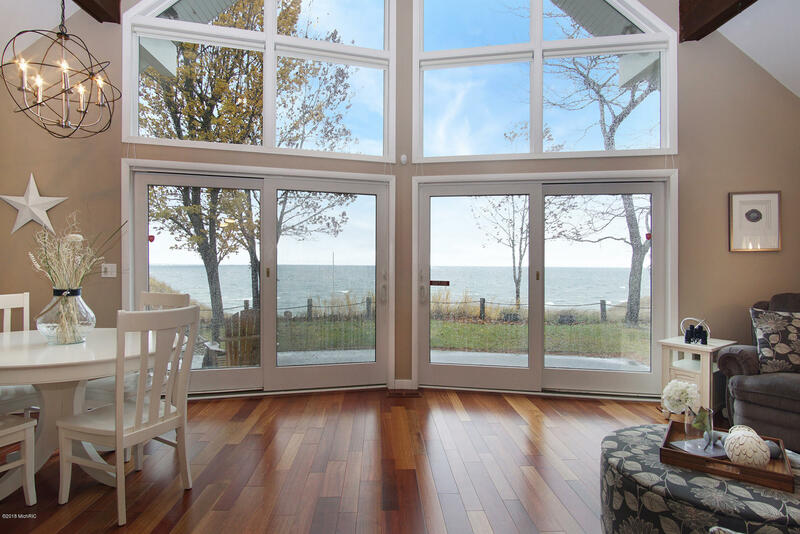 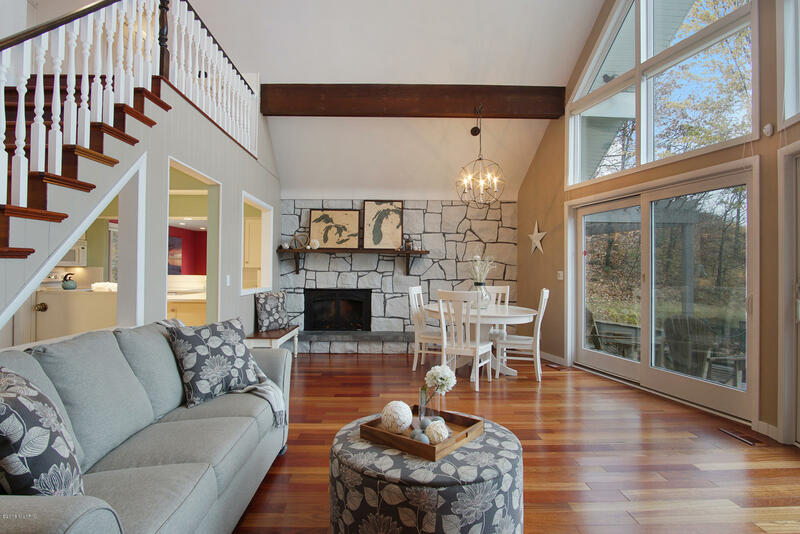 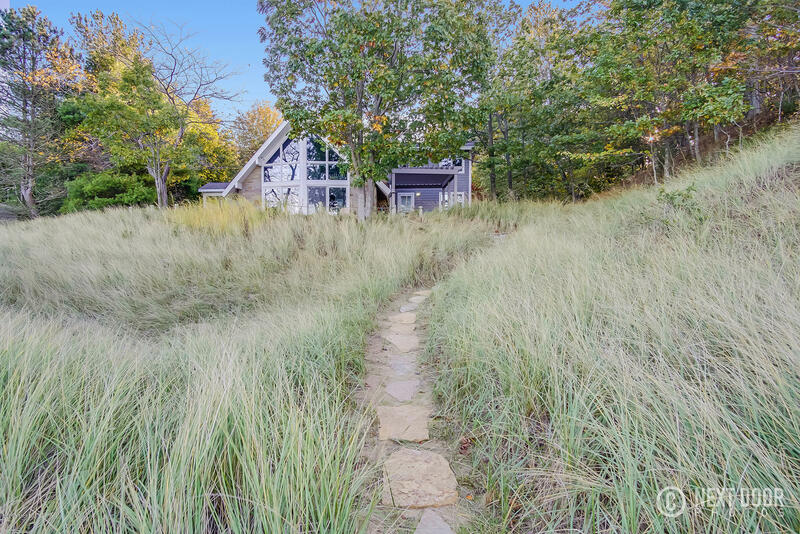 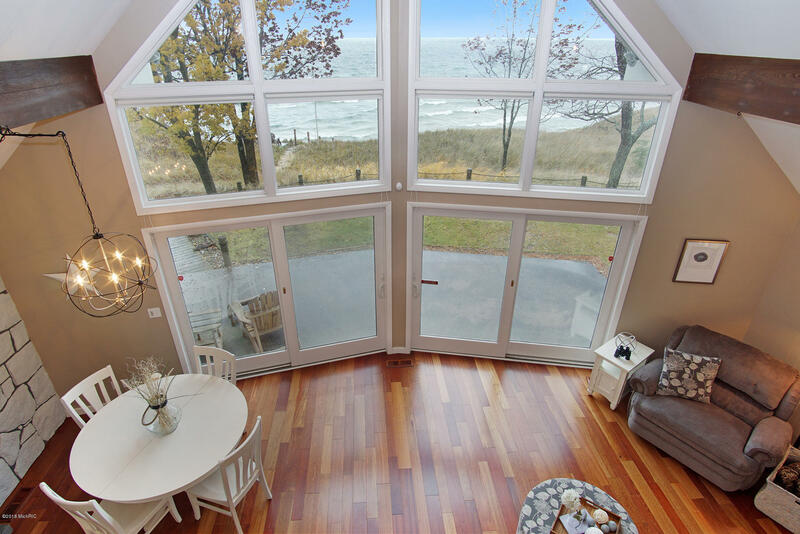 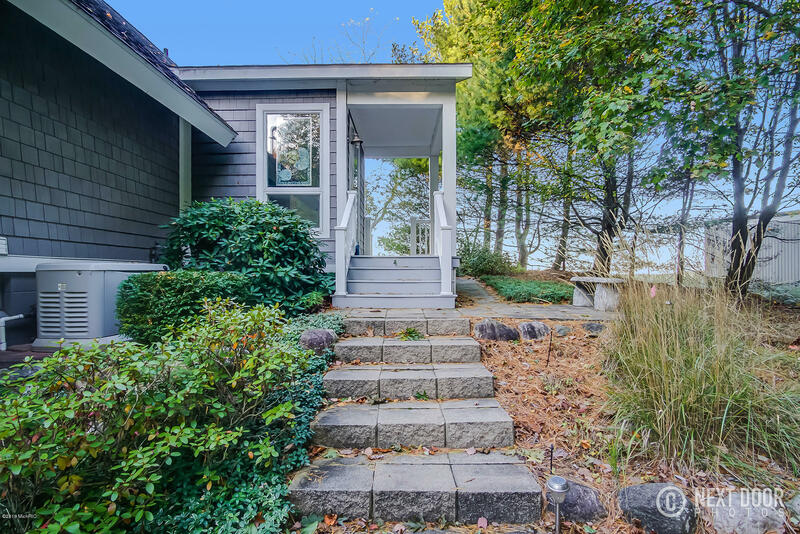 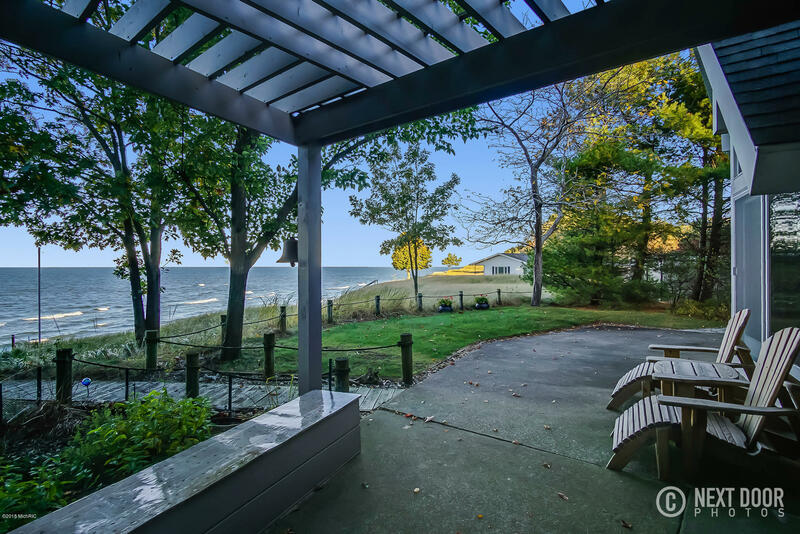 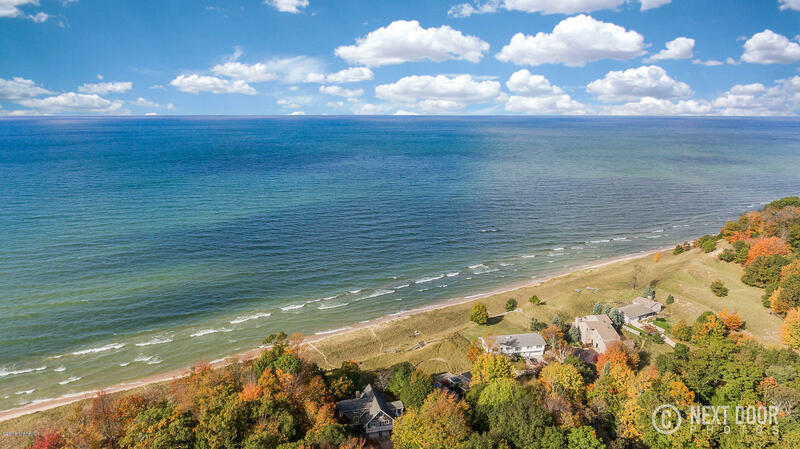 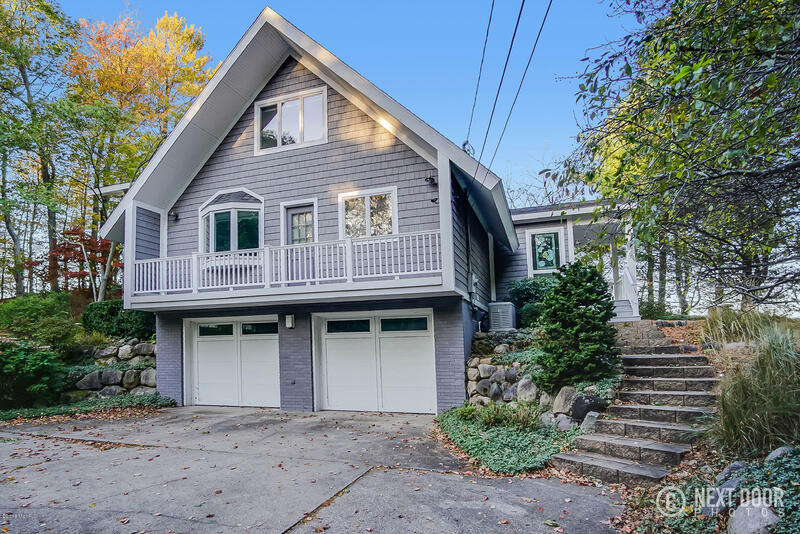 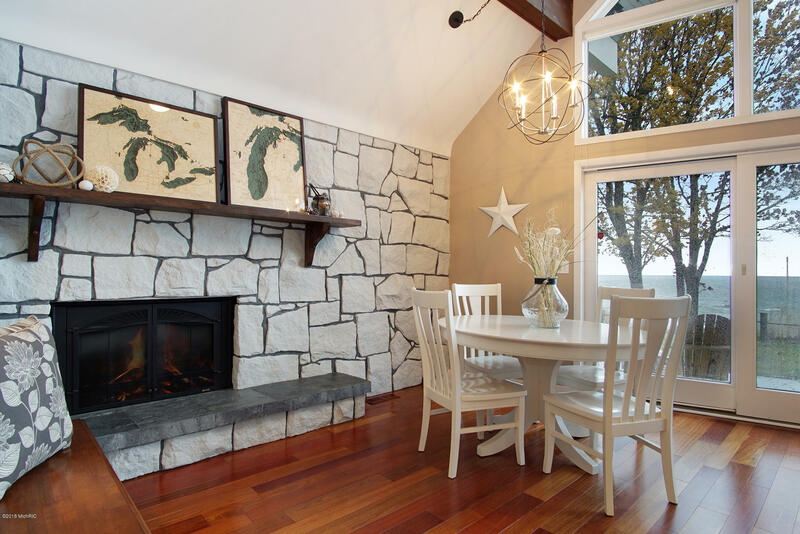 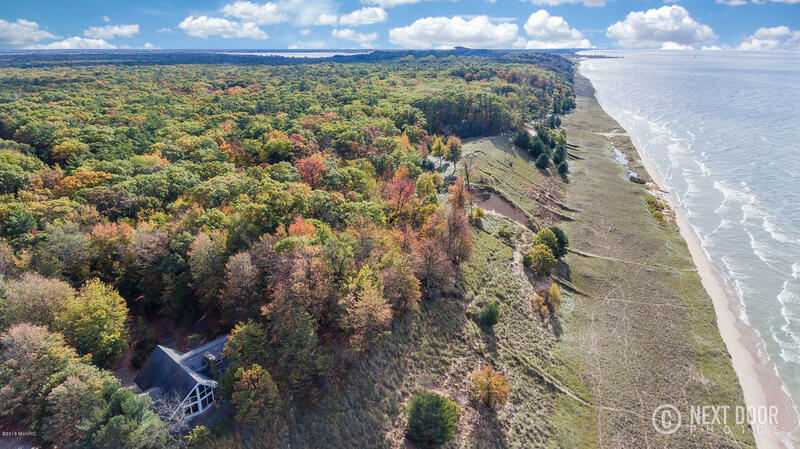 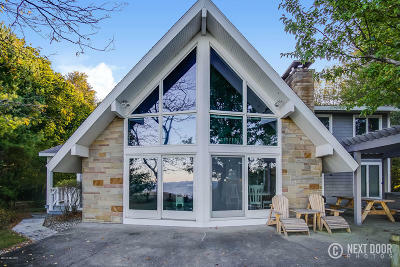 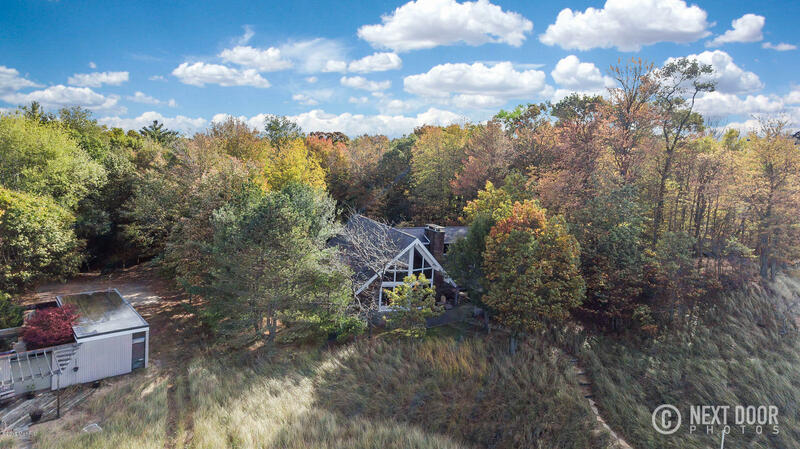 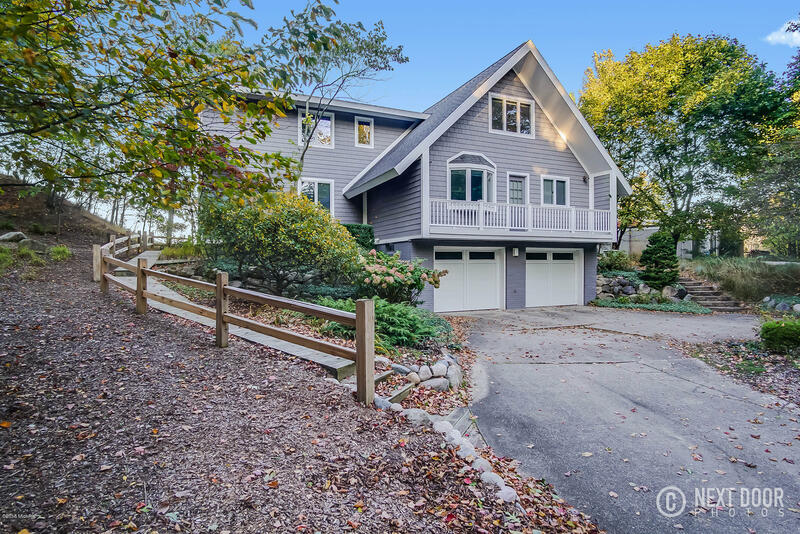 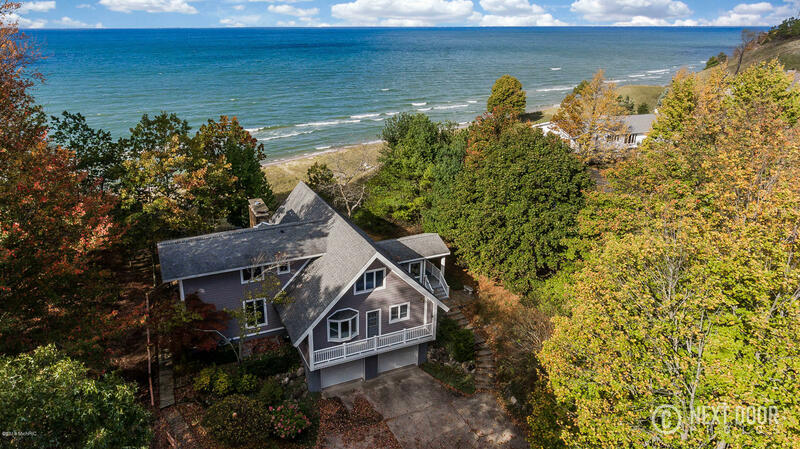 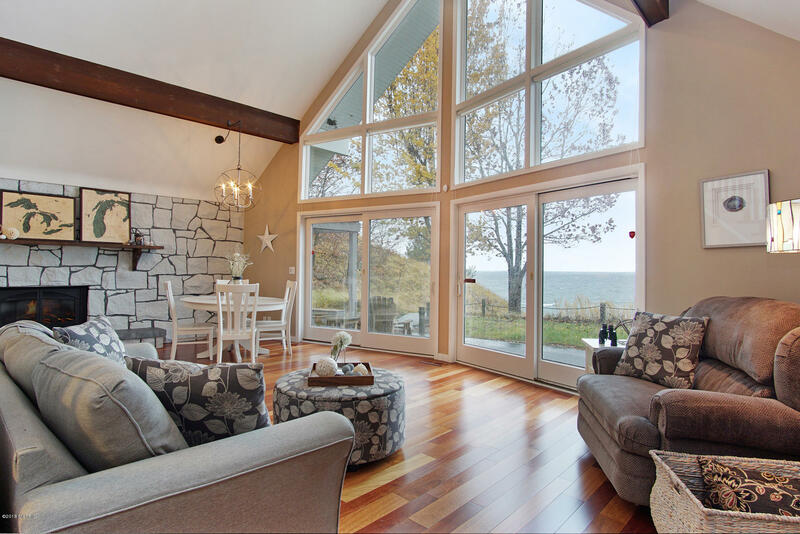 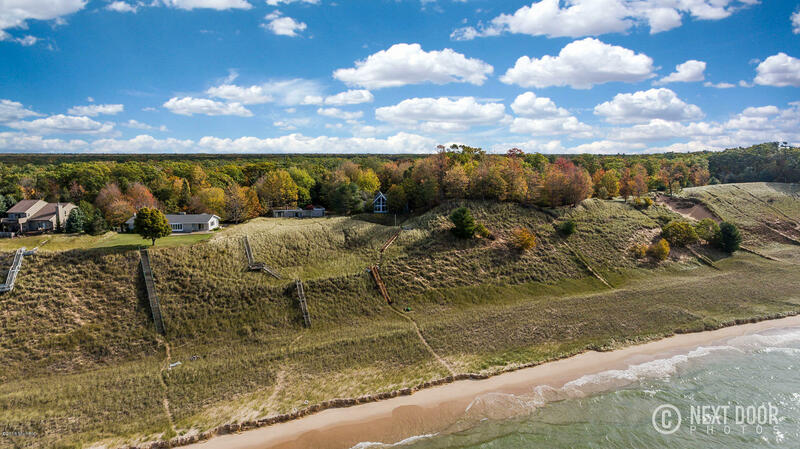 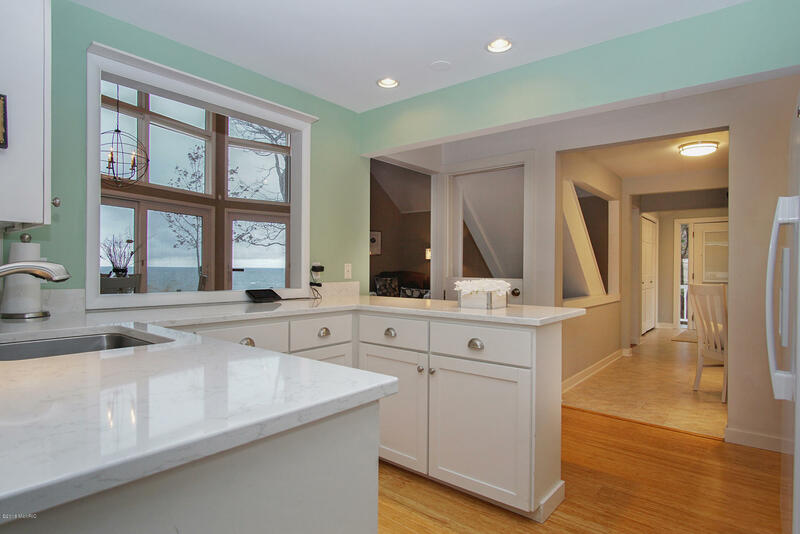 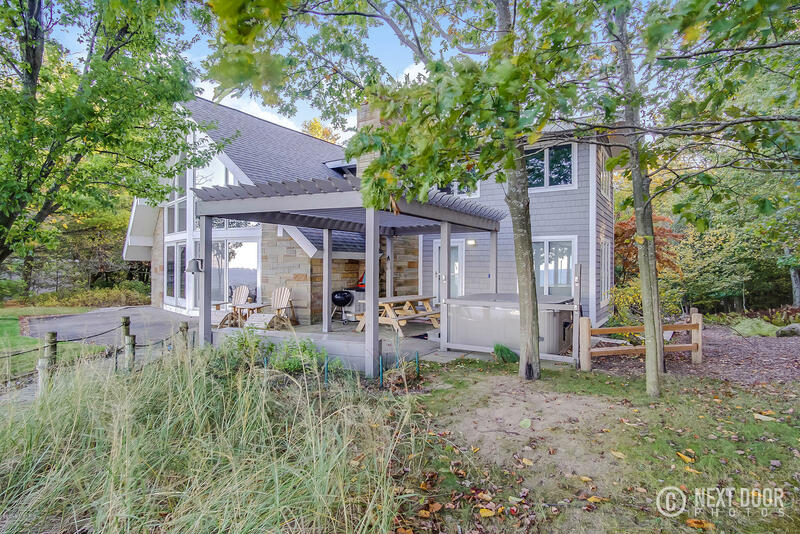 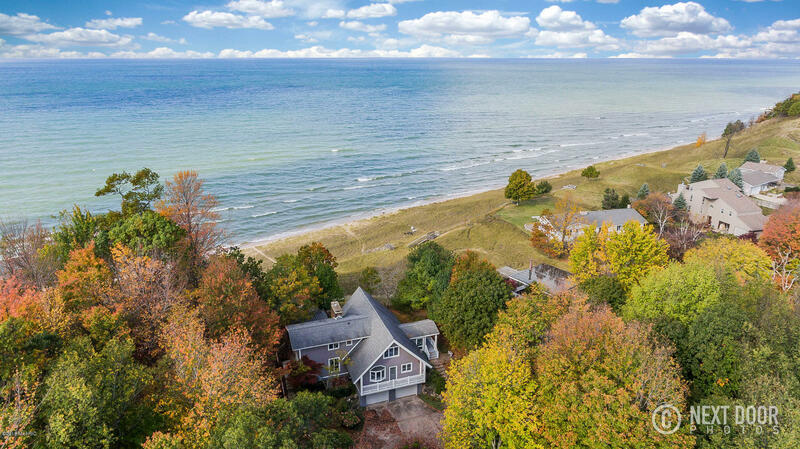 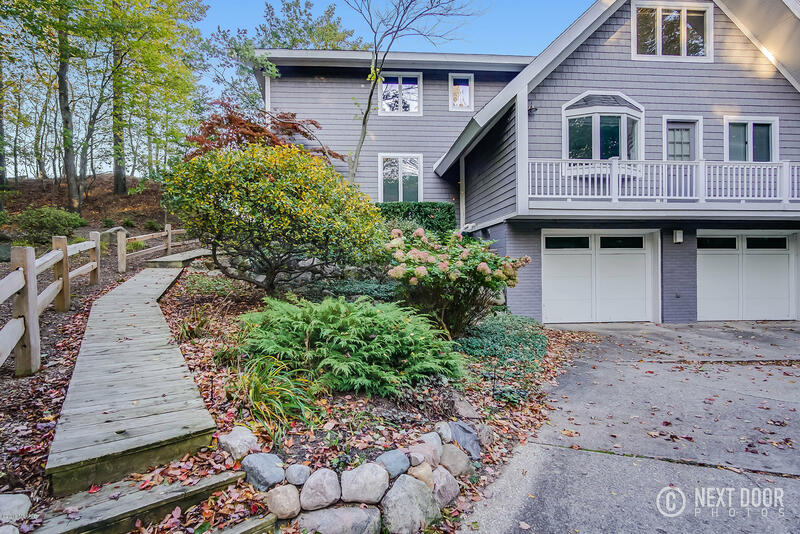 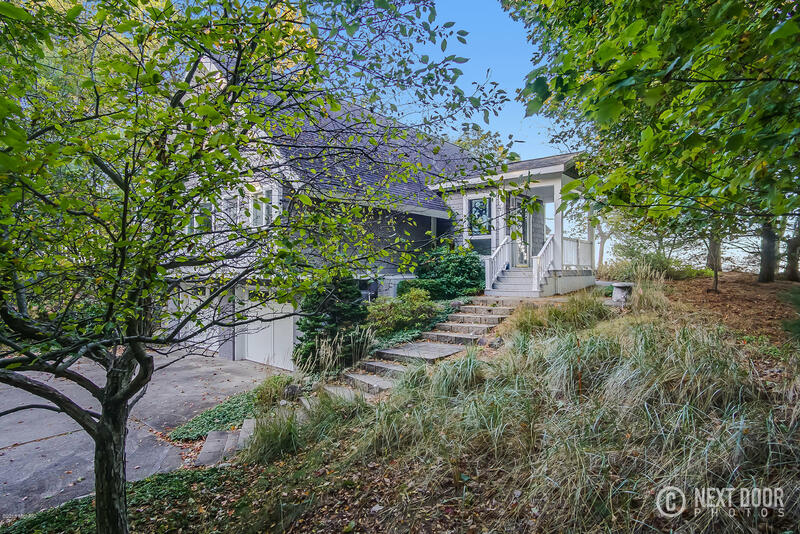 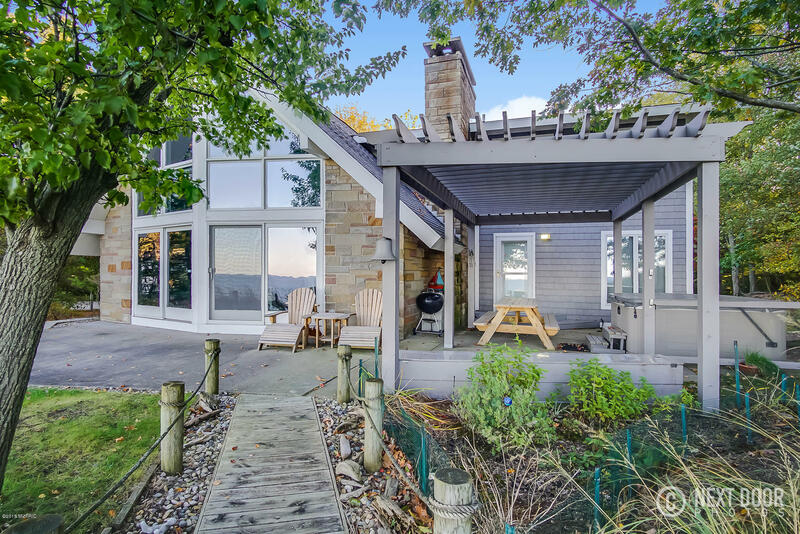 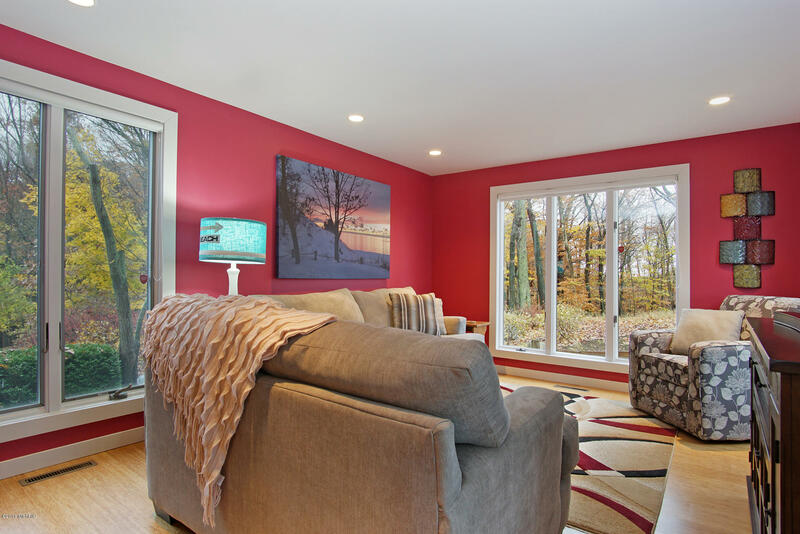 This stunning home boasts miles of spectacular views of Lake Michigan, nestled in a private wooded setting. 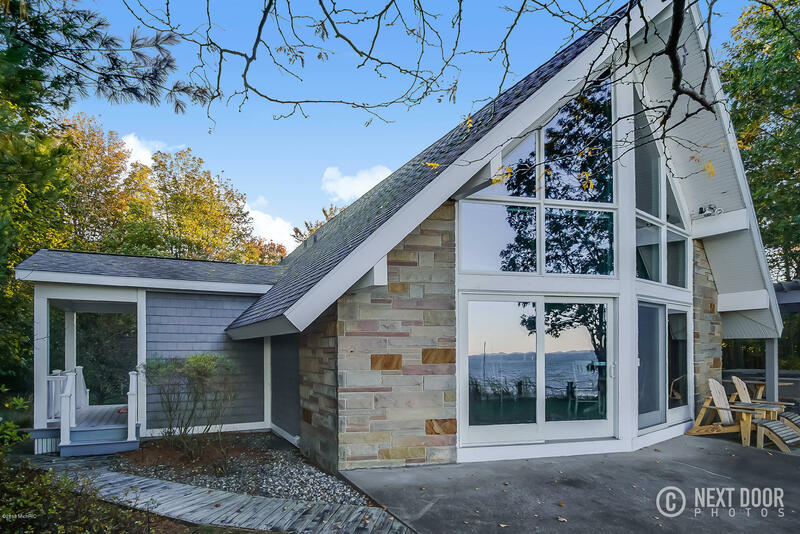 The cathedral ceiling and twenty foot high wall of Anderson windows allows for immaculate views of the skyline, no matter the weather. 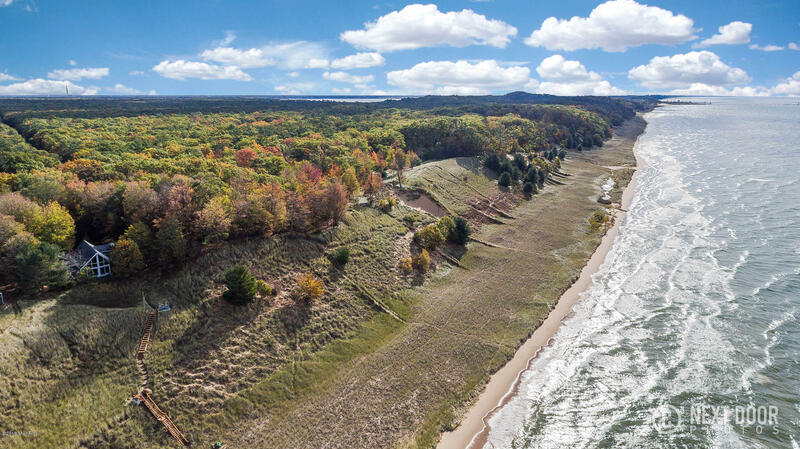 2, 240 acres of protected land in Muskegon State Park border the southern end of the property. 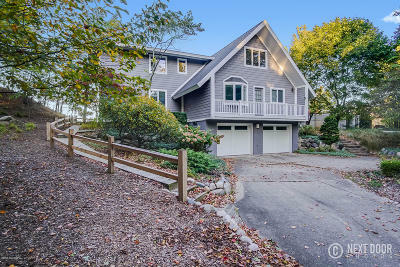 The home has been meticulously cared for and updated by its owners, who replaced all flooring on the main level, with Brazilian cherry hardwoods, berber carpet, and luxury vinyl tile; painted, upgraded the landscaping and decks, added a water softener, refurbished the beach stairs and walks, replaced plumbing features, and added a security system. 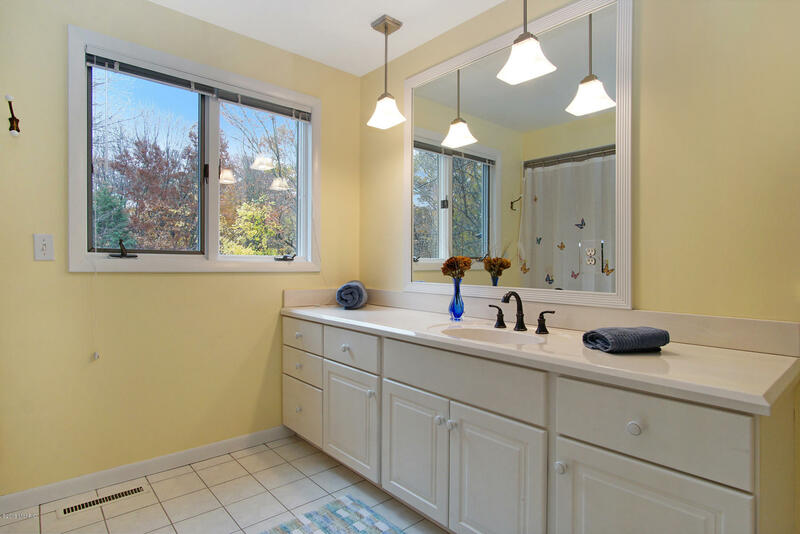 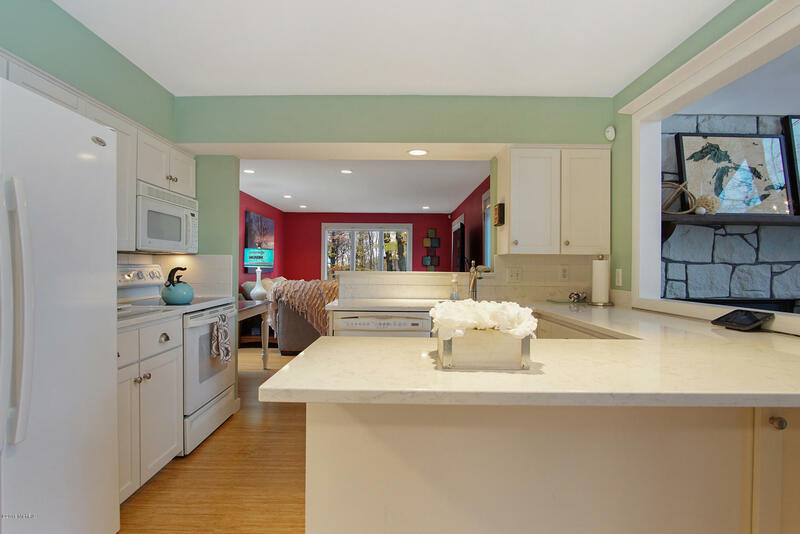 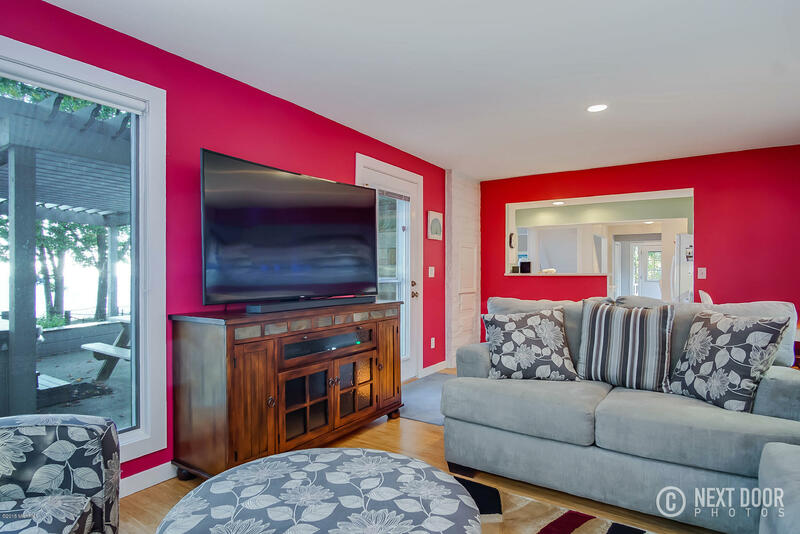 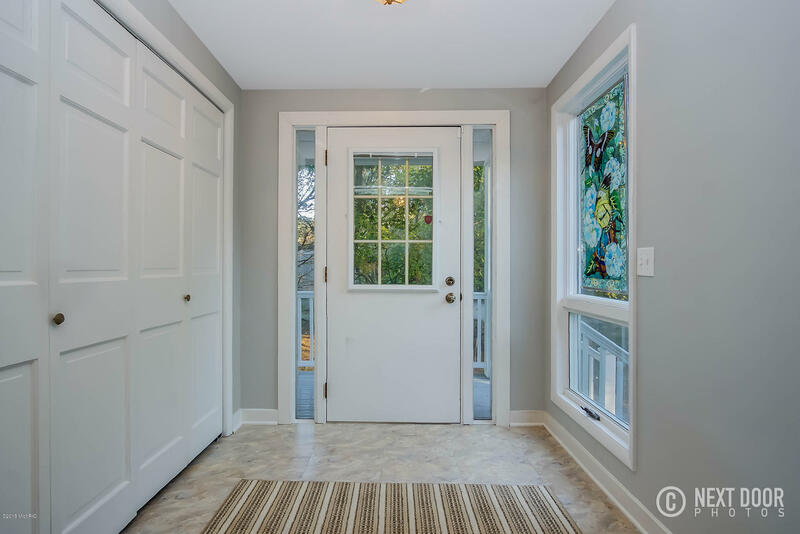 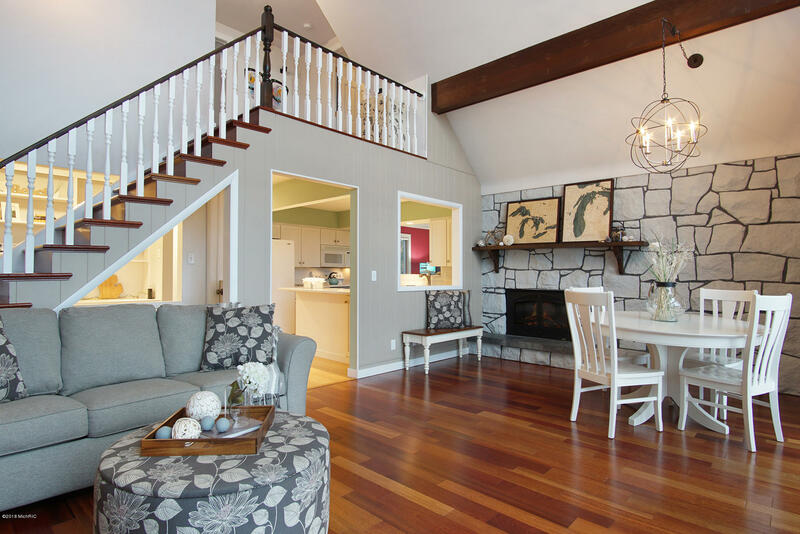 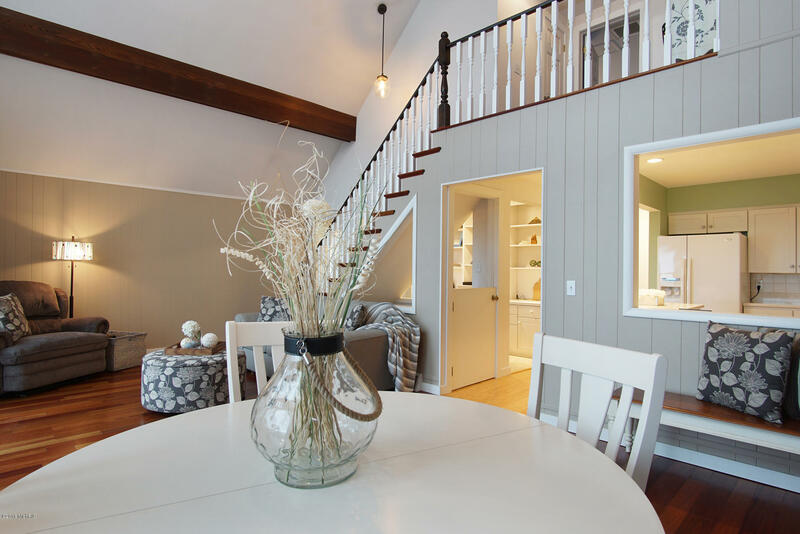 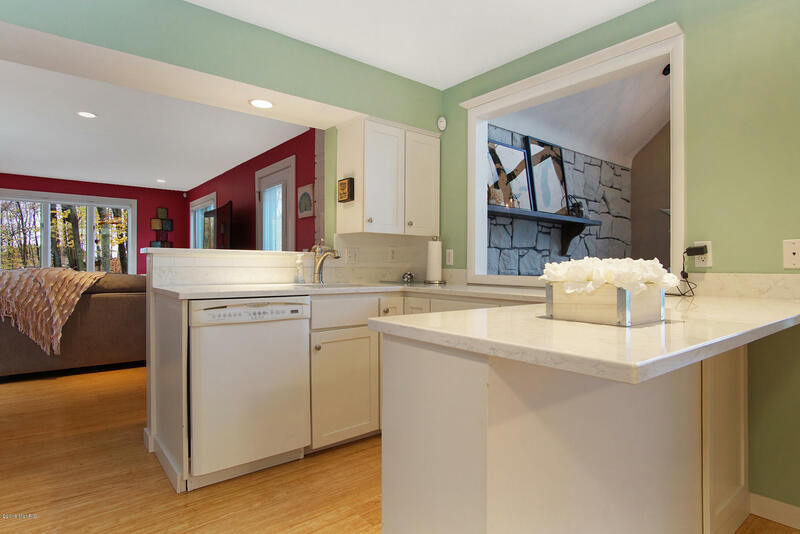 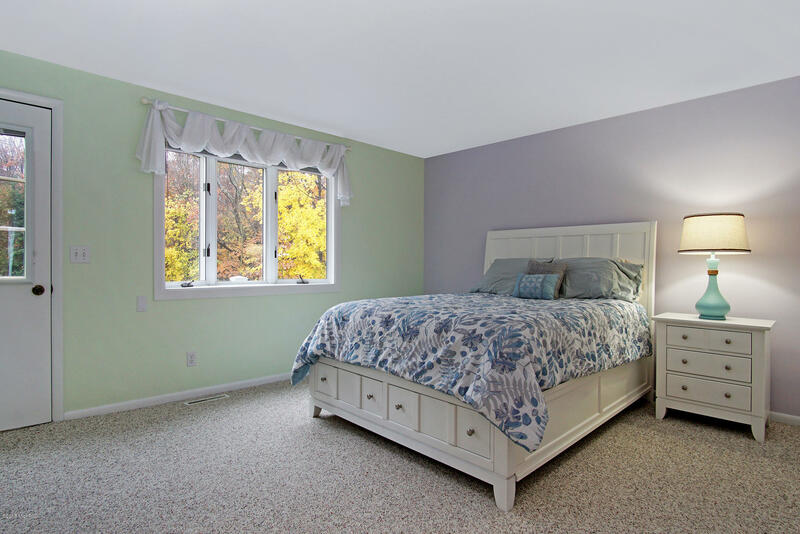 The spacious main floor features the kitchen with quartz countertops and snack bar; cozy family room, bedroom and full bath with whirlpool tub, and main floor laundry. 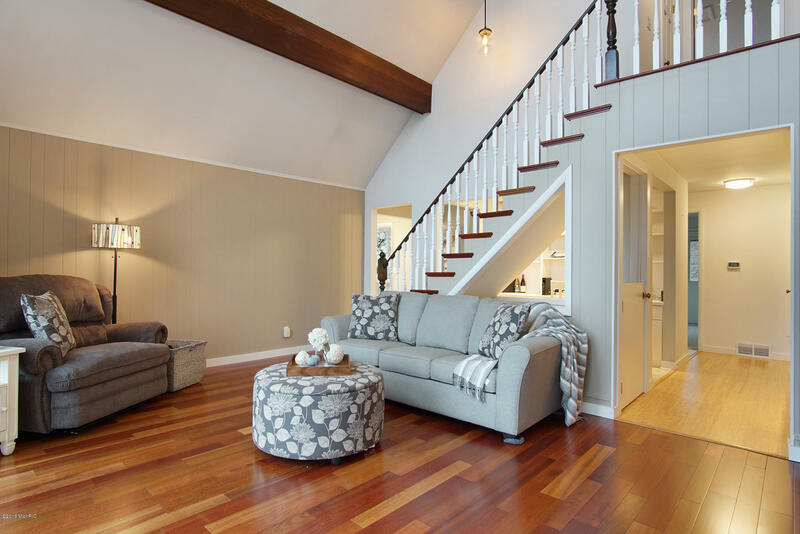 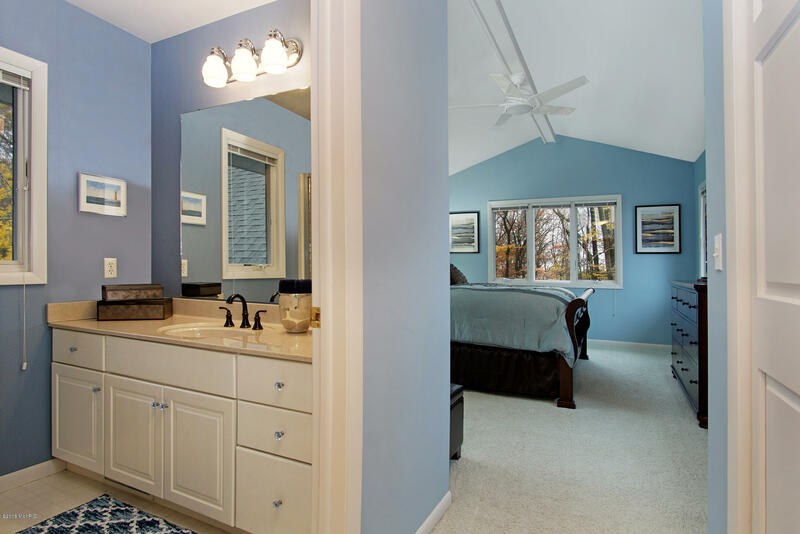 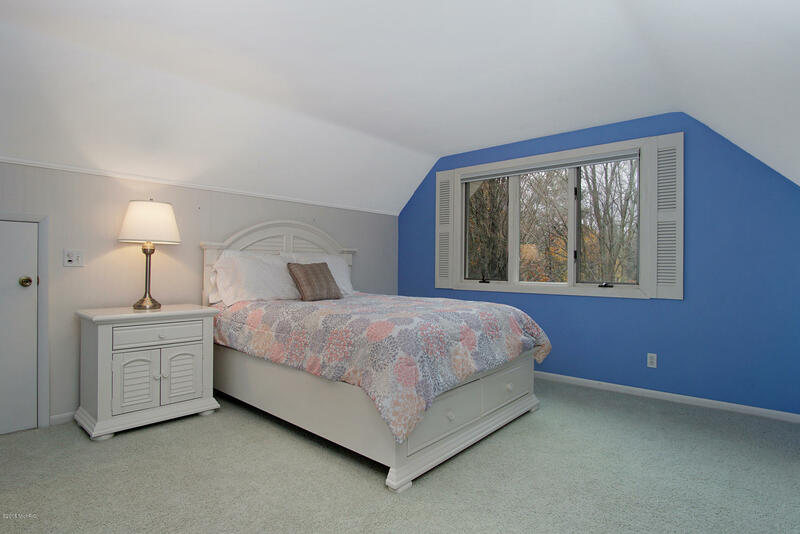 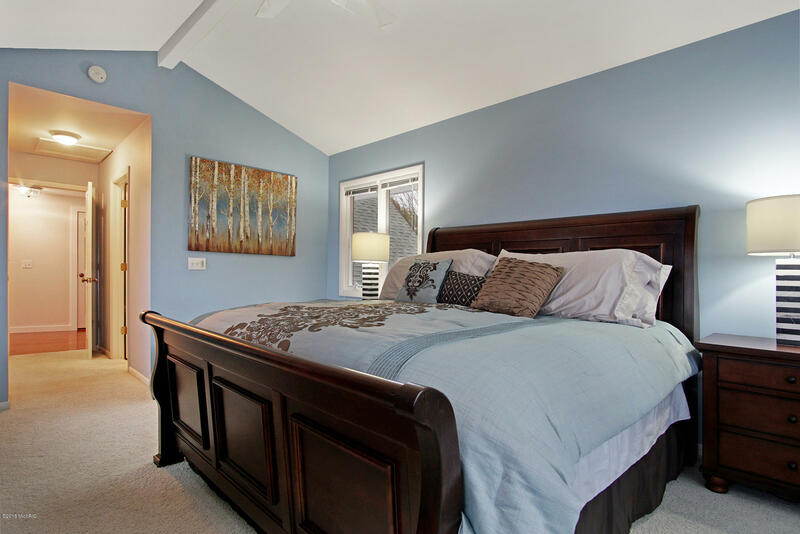 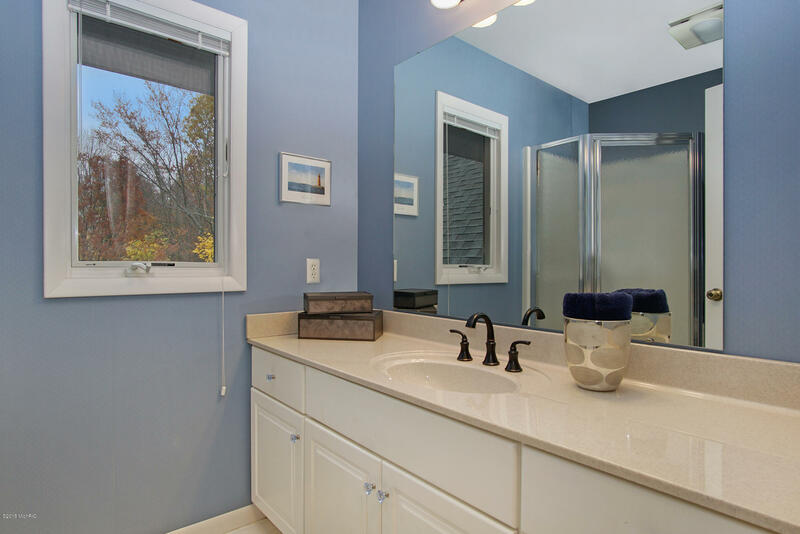 Upstairs, you'll find two spacious bedrooms and baths, including the master suite. 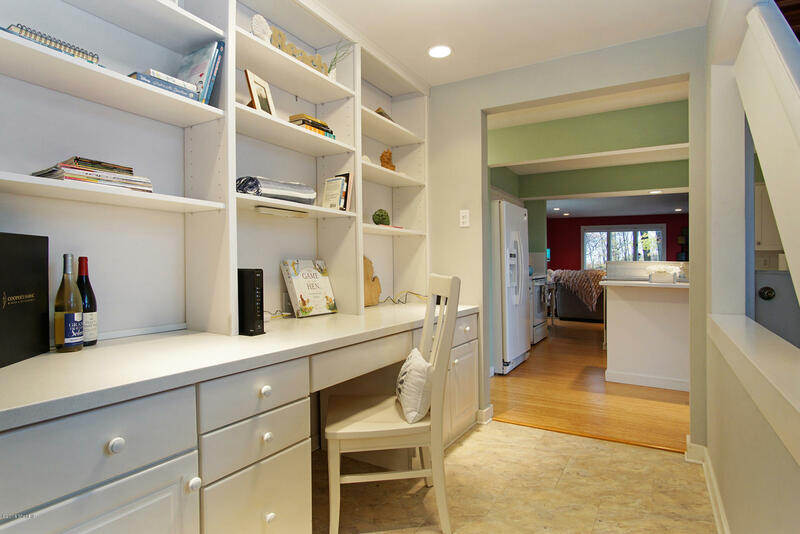 A 20,000 watt standby whole-home generator protects the home's power even when you aren't home. 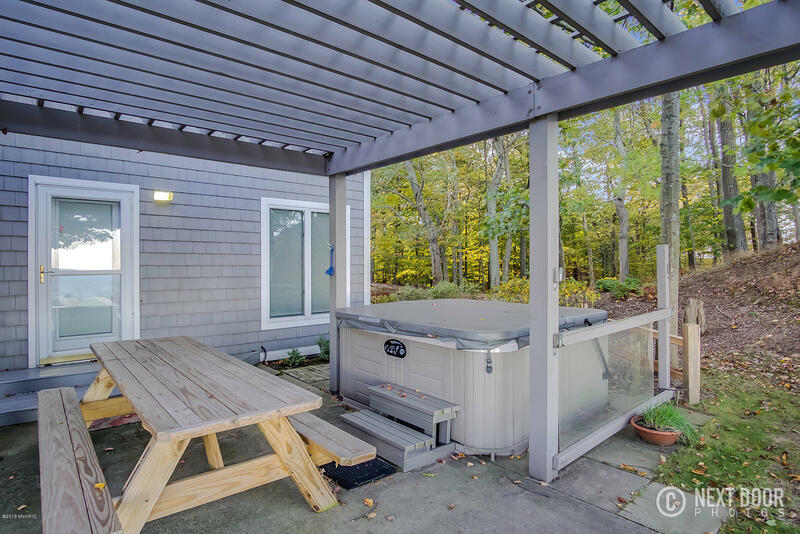 Outside, you'll find the patio with pergola and hot tub, a freestanding two story 24' x 16' additional garage, the irrigation system with 5 garden zones, and and breathtaking views, of course. 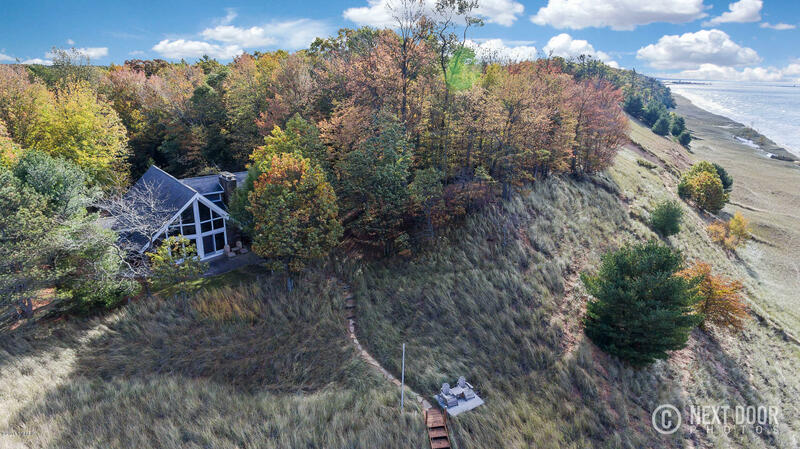 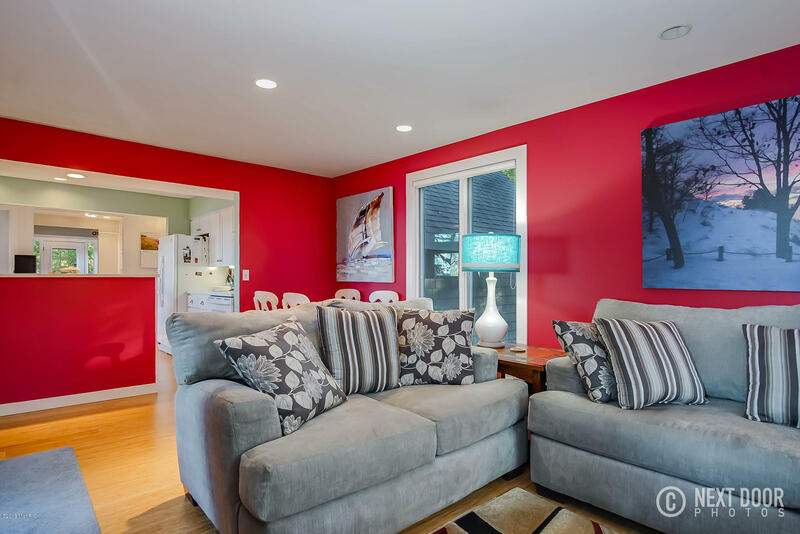 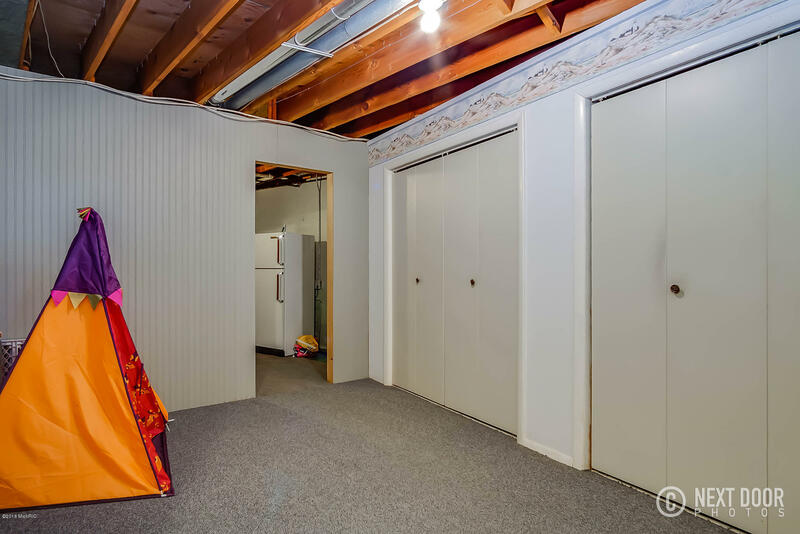 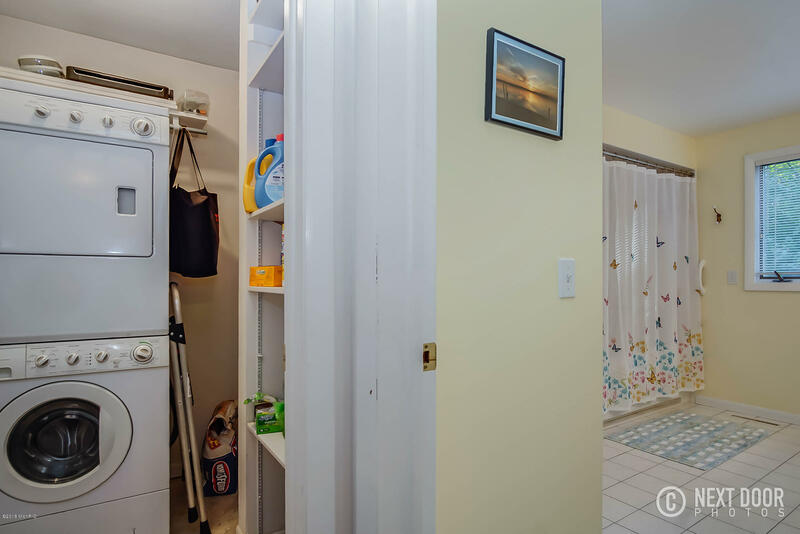 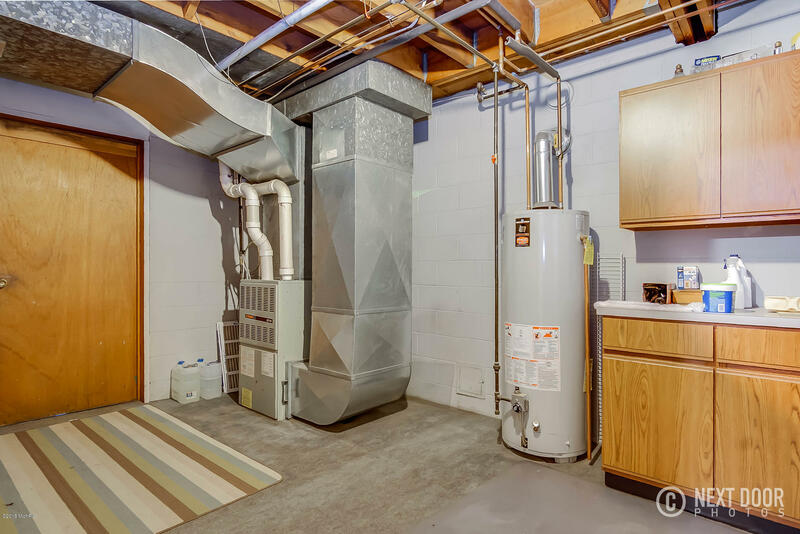 As if all of these features were not enough, this property is walking distance to the Muskegon Winter Sports Complex, featuring lighted cross country ski trails, ice skating, and a luge run. 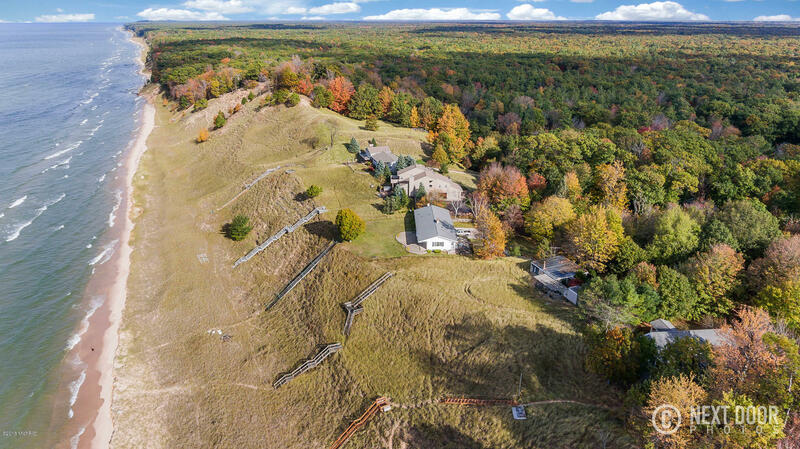 Call today to make this spectacular house your home!